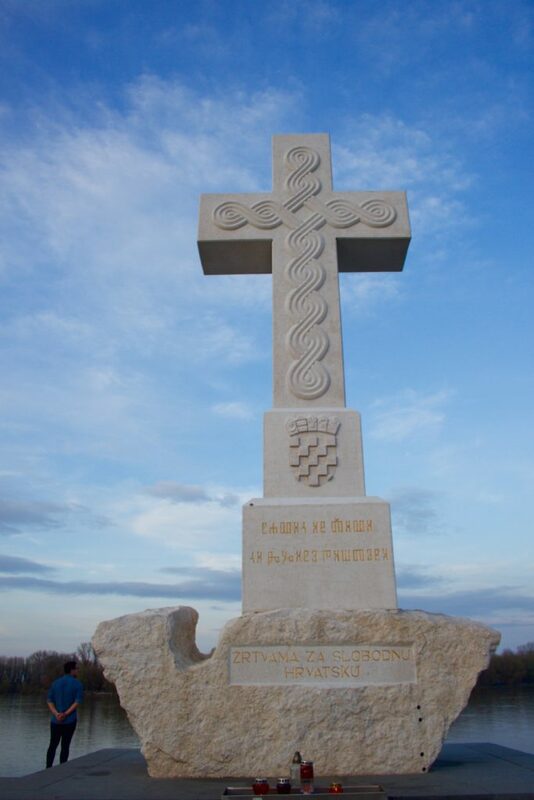 Vukovar is a symbol of Croatia’s homeland war and fight for independence. Vukovar is also the city I was born in 31 years ago. Anytime I tell a Croatian person that I was born in Vukovar, they immediately sigh and say, “how wonderful.” It is wonderful because it’s a precious city and one dear to every Croat’s heart. Vukovar is located in the eastern part of Croatia and belongs to half Slavonia and half Srijem county, across the Danube River is Serbia. The city is filled with with baroque architecture. 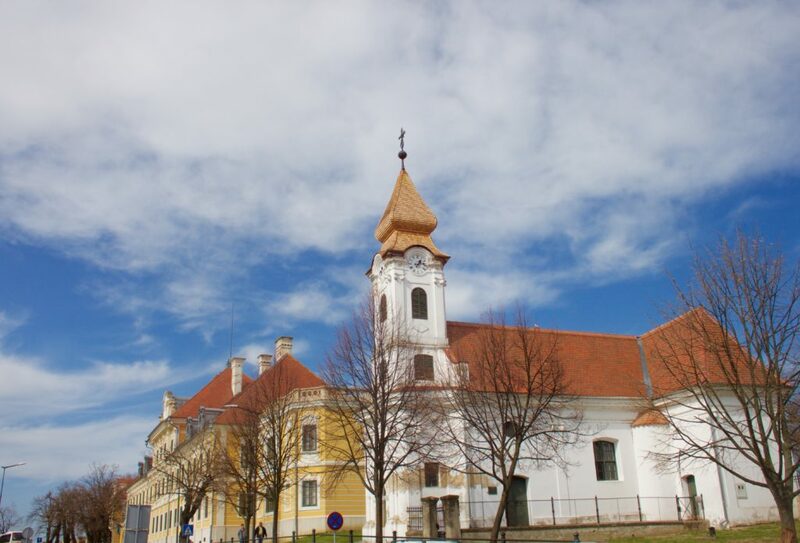 Once one of the most wealthiest cities in Croatia due to it’s vast land mass meaning great prospects for farmers and agriculture and close proximity to the Danube River, Vukovar has a rich history predating over 8000 years. 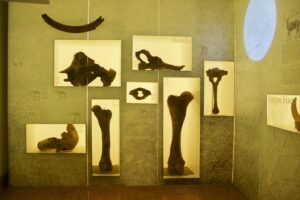 Very often archaeological artifacts are found in the backyards of residents within the region, Vinkovci being a hot spot for evidence of Vukovar’s extensive history. I was invited along to visit Vukovar for the first time since I was born by the Tourism Board to learn more about the city, it’s long and rich history along with the darker facets of what happened during the homeland war under the guidance of Tomislav, our Vukovar Tour guide. 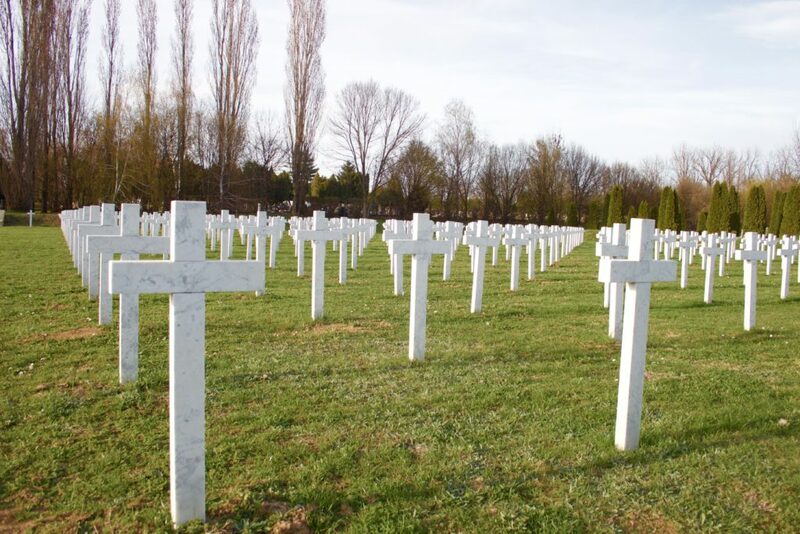 Vukovar City aims to cater for a more “cultural tourism” experience, one that is proud of it’s prehistoric age and another that shines a light onto the country’s most devastating war, commemorating those who lost their lives and those whose remains are still missing. Potentially one of the most heartbreaking stories coming out from the homeland war is what happened at Vukovar Hospital. The battle of Vukovar was an 87 day siege which took place in late 1991. After being shelled at a rate of up to 12,000 rockets per day, Vukovar fell in November 1991. By late 1991, Vukovar Hospital was inundated with injured patients with numbers rising rapidly daily. 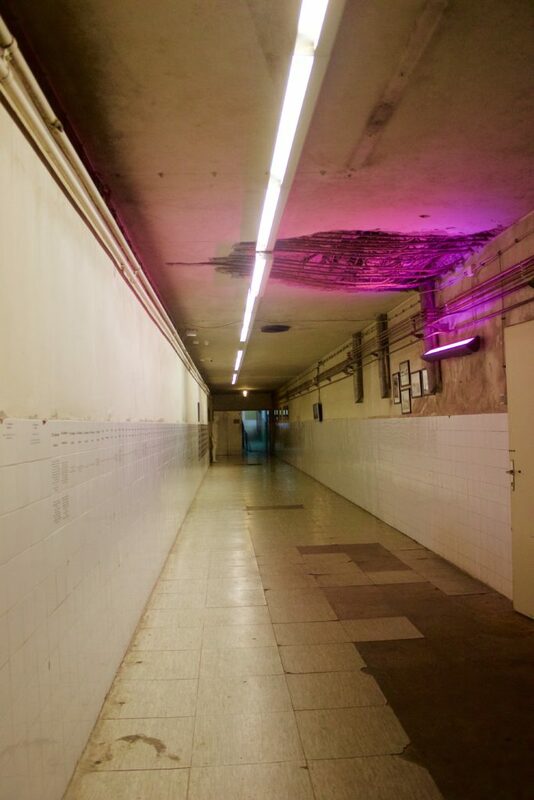 Over 450 people took refuge in the basement of the hospital, the safest part of the hospital at the time. Despite having a large red cross placed on top of the building hoping to deter being targeted, the hospital was shelled daily. During the final days of this battle, an evacuation was negotiated between the military and the international committee the Red Cross. 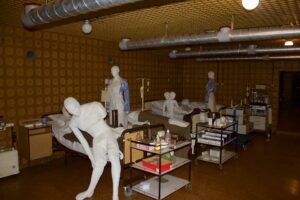 While some hospital residents were safely removed and taken to further care, other civilians and prisoners of war were secretly located to “Ovcara Farm,” another horrific chapter to this story I’ll touch on later in this post. 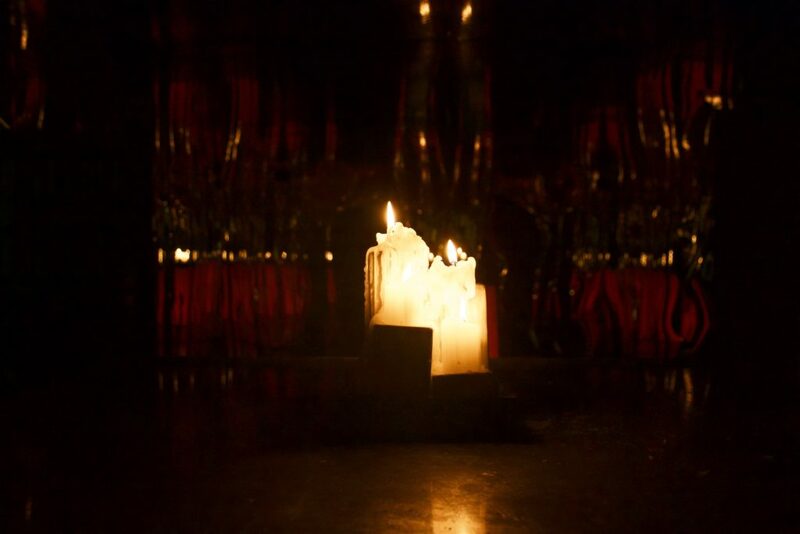 A dark, candlelit mirrored room plays the role as the memorial for those who sadly lost their lives at Vukovar Hospital in 1991. Each victim’s name is said out loud one after the other into a speaker, shall we never forget this atrocity and crime against humanity. 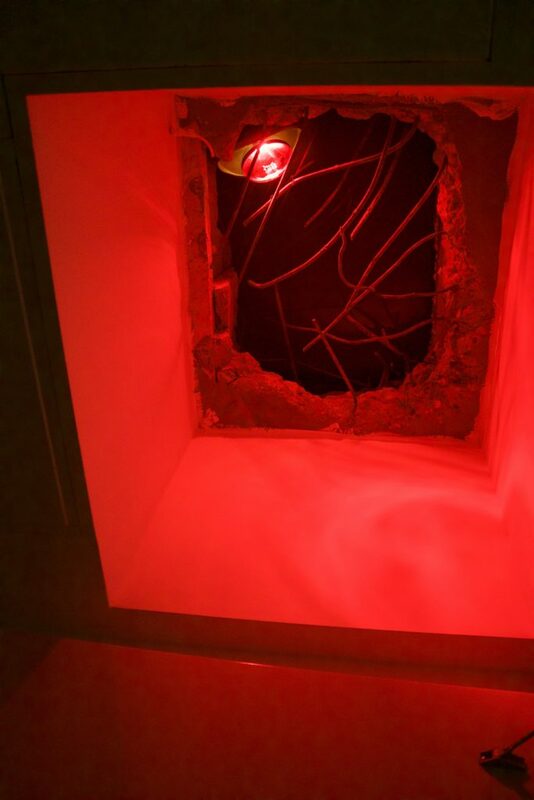 This large hole in the ceiling stands as it did back in 1991. A 250kg bombed fell through the floors of Vukovar Hospital at the feet of a Serbian patient laying on a bed. It didn’t explode. 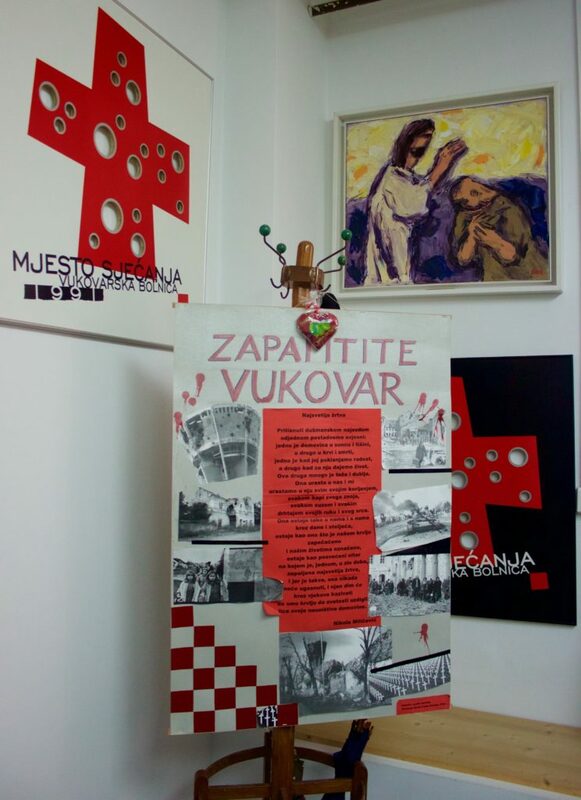 Vukovar Hospital uses this story as an example to prove that their doors were open for patients of all nationalities, including the Serbians. 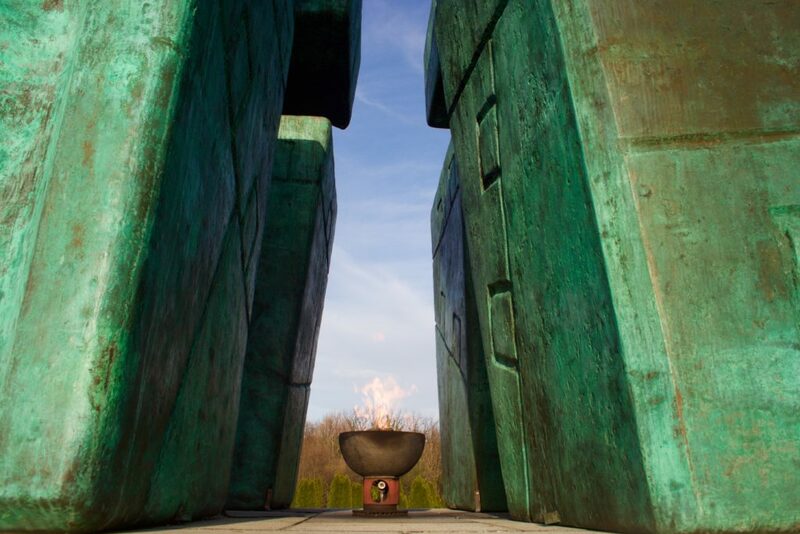 Vukovar Hospital Memorial, also referred to as “Vukovar Nocturne” is a must see when visiting Vukovar, the memorial museum has been created in an affective way to reflect the true sentiments of the devastation that went on there almost 30 years ago. 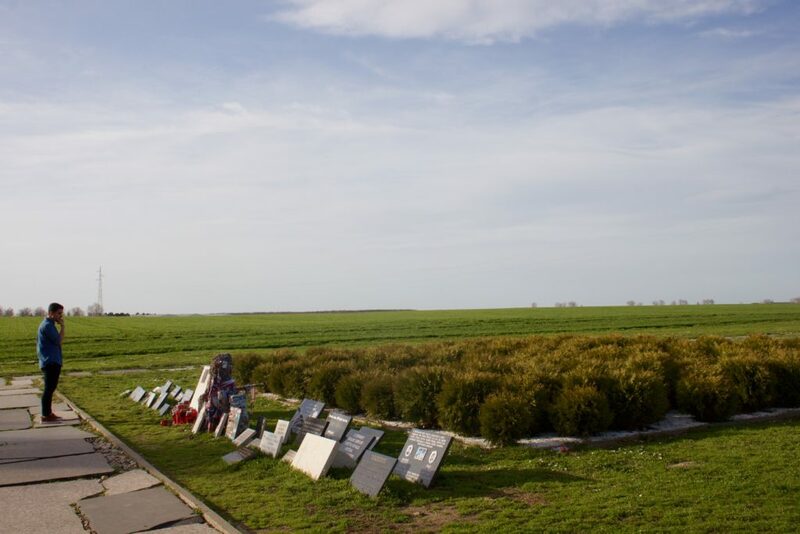 The Ovčara Farm memorial is a chilling reminder of the Ovčara massacre where people who were taken from the Vukovar Hospital were beaten for several hours before they were taken to a prepared site to the killed. 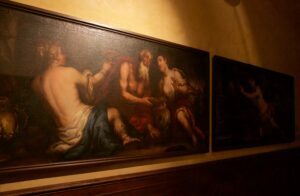 They were told to strip down naked before being shot and thrown into a mass grave. 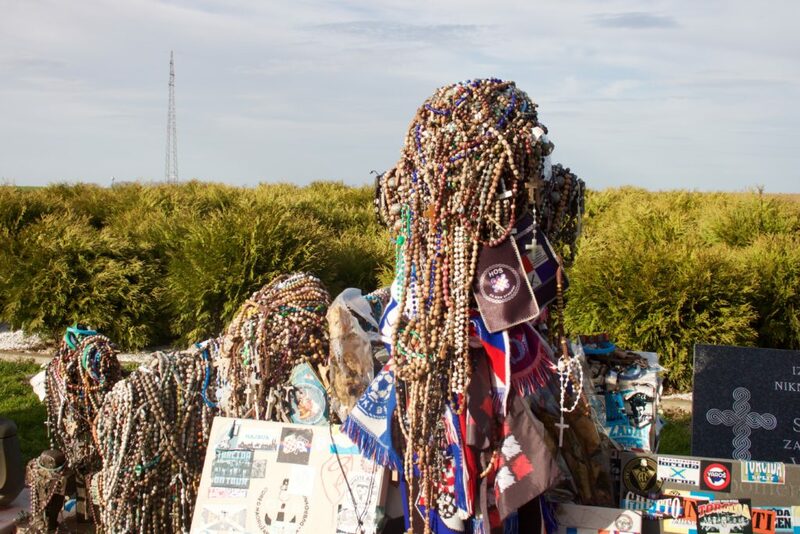 Their mass grave was discovered in 1992. 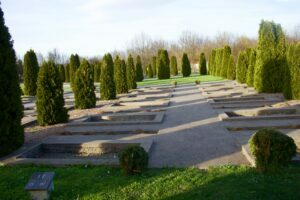 One tree has been planted for each of the 200 victims massacred and buried in this mass grave. 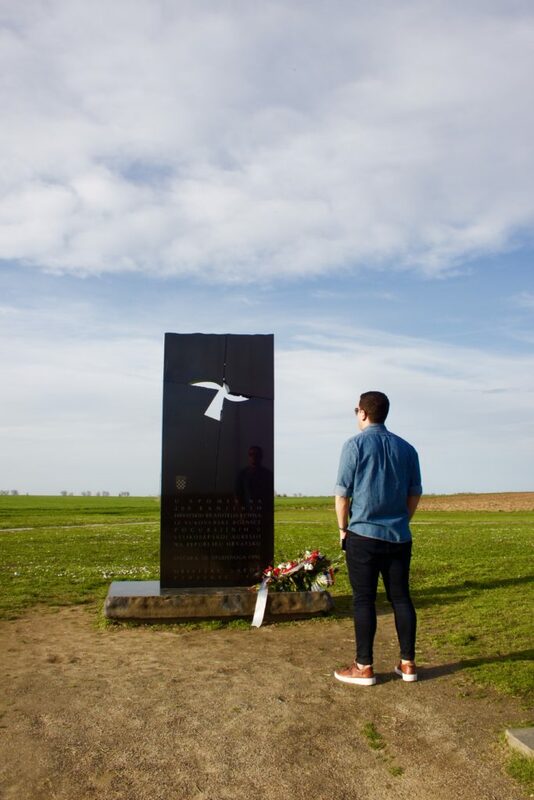 The Ovčara Farm Memorial is visited daily by people all over the world to remember those who lost their lives in such a brutal and unjust way. Sixty victims are still missing today. 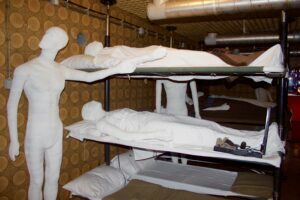 If you’re interested to know more about Croatia’s Homeland War, there is an entire museum dedicated to this dark part of Croatia’s history. Visit The Memorial Centre for Homeland War Vukovar for more information. 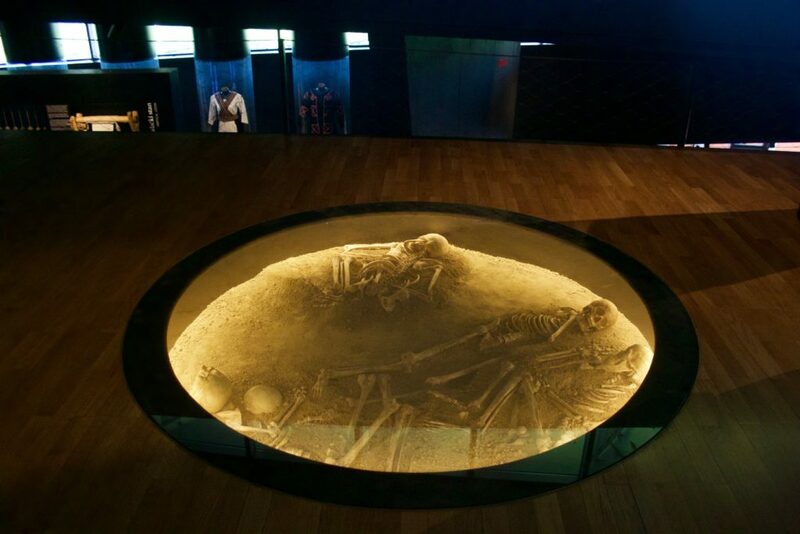 The largest mass grave in Europe since WWII is located in Vukovar Croatia. At Vukovar Cemetery, 938 bodies were dumped here in a mass grave. 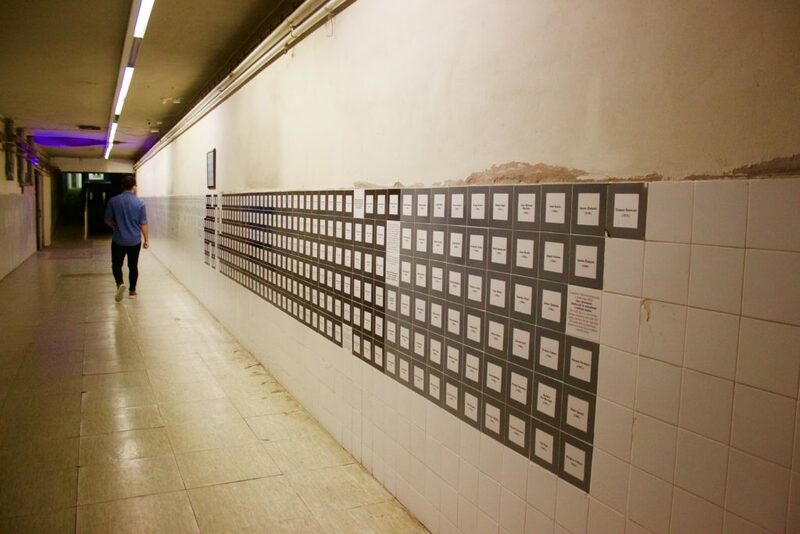 Each white cross below represents one person. The oldest victim being 103 and the youngest only 6 months old. 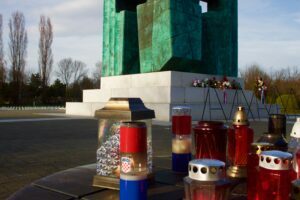 This memorial with eternal flame commemorates the victions of the Battle of Vukovar. 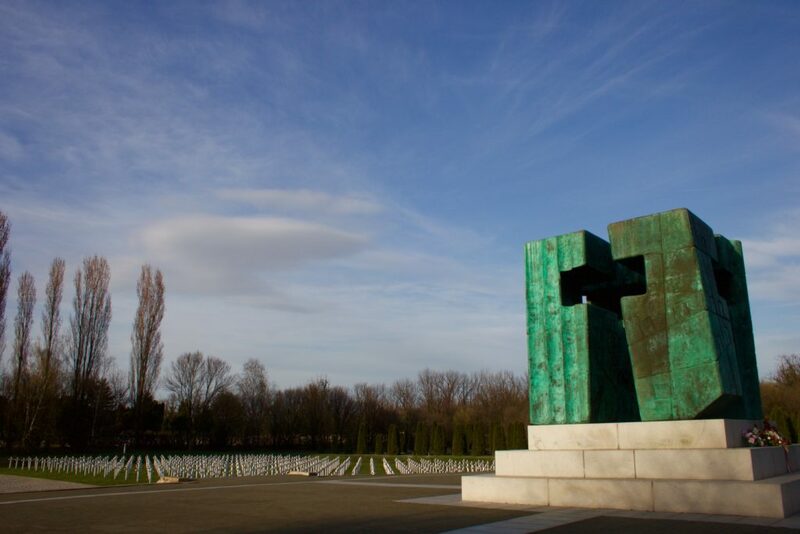 An eternal cross is also visible from all four sides of the monument, including from an aerial shot. 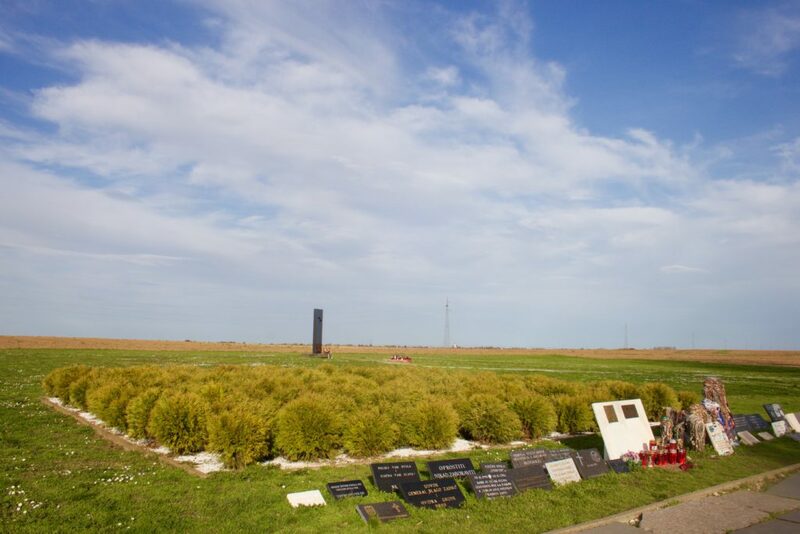 Each empty grave represents one person whose remains are still missing somewhere within the Vukovar region of Croatia. There are at least another five more doubled sided rows like this. 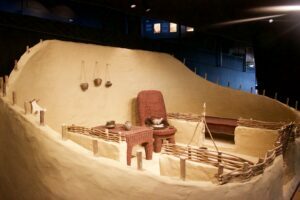 Long before the Slavs settled in Vukovar, the Vučedol culture developed settlements by the banks of the Danube River, first inhabited about 6,000BC. Evidence proves that the Vučedol culture was literally born here before spreading to parts of the Czech Republic, Slovakia, Austria, Hungary, Romania, Slovenia, Italy, Croatia, Bosnia and Herzegovina, Serbia, Montenegro, Kosovo, Albania. Pretty cool, right? VUČEDOL IS ONE OF THE MOST SIGNIFICANT ARCHAEOLOGICAL SITES IN EUROPE. 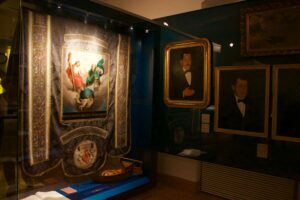 I’d previously never heard of the region’s first known settlers, so I was completely fascinated over the space of a couple of hours while wandering through Vučedol Culture Museum. Archeologists have done a magnificent job in restoring visuals of what life looked like in those days. 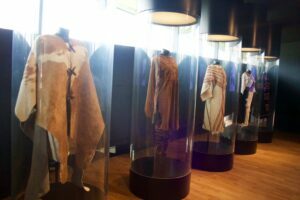 I must say that the Vučedol culture wasn’t too far from what we call normal today, they were quite advanced and progressive with what we call trendy today. 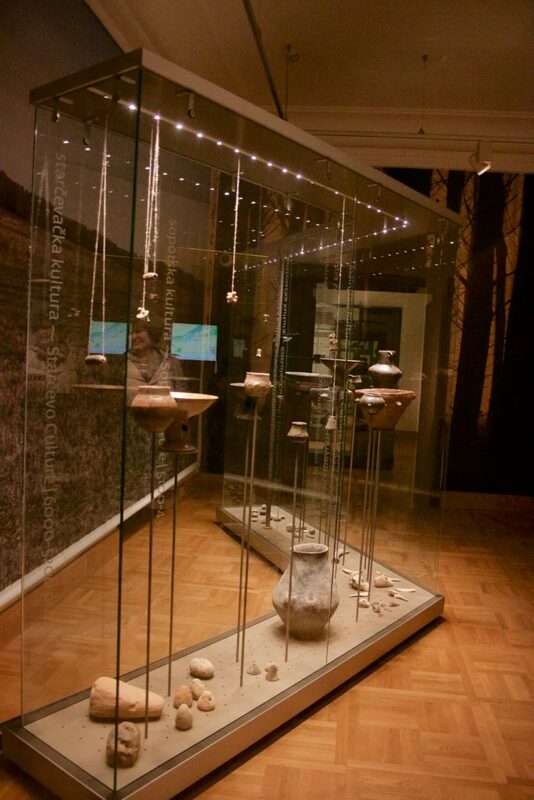 For example, glimpses into the patterns and colours used on ceramics during the era of the Vučedol culture resemble what you see in glossy homeware magazines today. One of the most significant and recognised pieces from the Vučedol times is the “Vučedol Dove,” a symbol of fertility and resilience from predators, made between the 2800.- 2400. b.c. and was found 1938 on the site of Gradac. The dove can be seen throughout the city branding and souvenirs in Vukovar today. The Vučedol culture was completely wiped out with reasons still unknown. The Eltz Manor house is the location of the Vukovar city Museum. The castle was completely destroyed following Croatia’s War of Independence, however after four years of restorations, the castle has been fully restored to it’s original look. The castle was donated by one of the oldest and most noble German families, the Eltz family, under the preconditions that it remained as a city museum, open to all to learn more about the history of Vukovar. The Eltz Castle is certainly one of the most beautiful buildings in the city and the museum won European Museum of the Year in 2016. 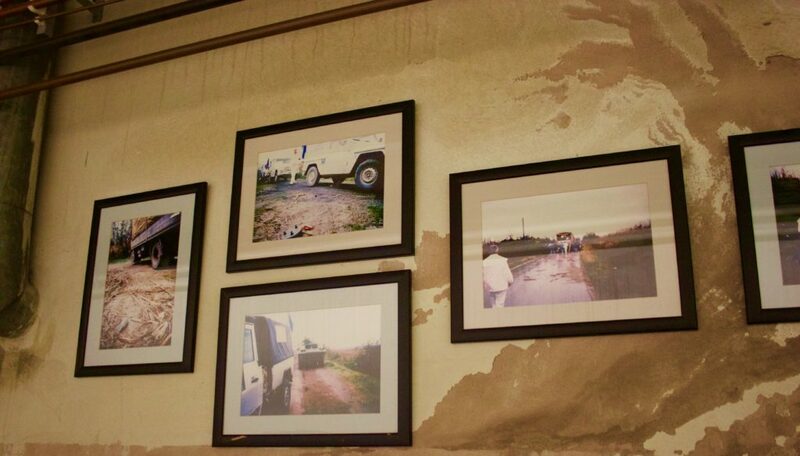 In conclusion to the exhibition, the castle pays homage to the homeland war – a room filled with rubble from a once flattened Vukovar city with a video on repeat showing visuals of the city in pure devastation. 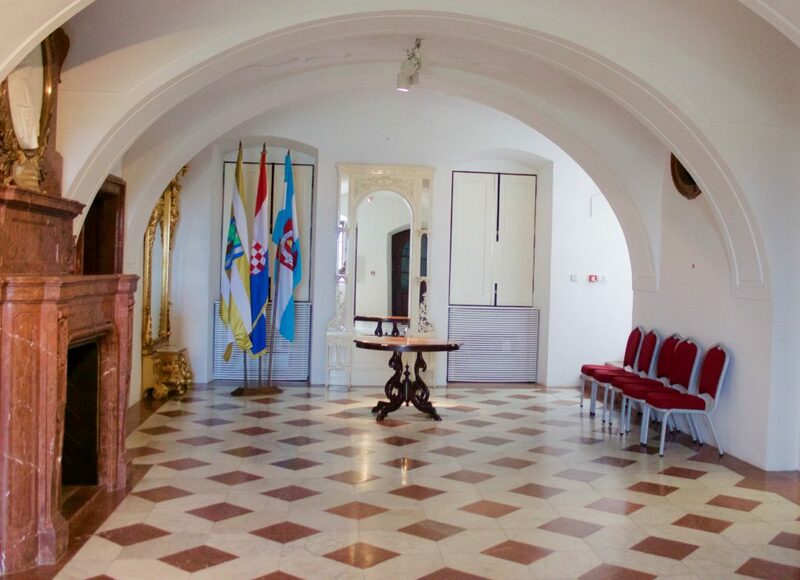 The room above is the place where couples say “I do” in vukovar. 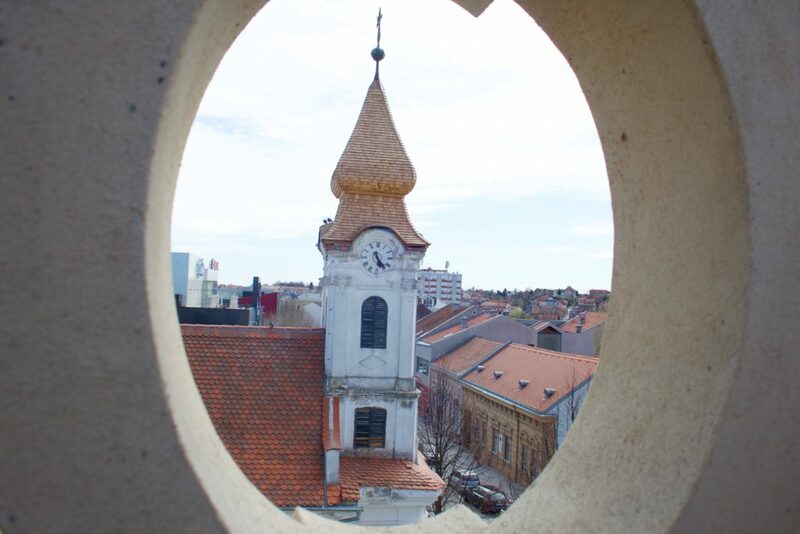 Vukovar was flattened right down two decades ago, while there are still buildings with bruises from the war, most of the city has being repaired, but the hearts of the residents will always be in recovery. I felt Vukovar had soul, something I believe Osijek lacks however, locals beg to differ- the soul was there before the war, now the city spirit is one of struggle and survival. 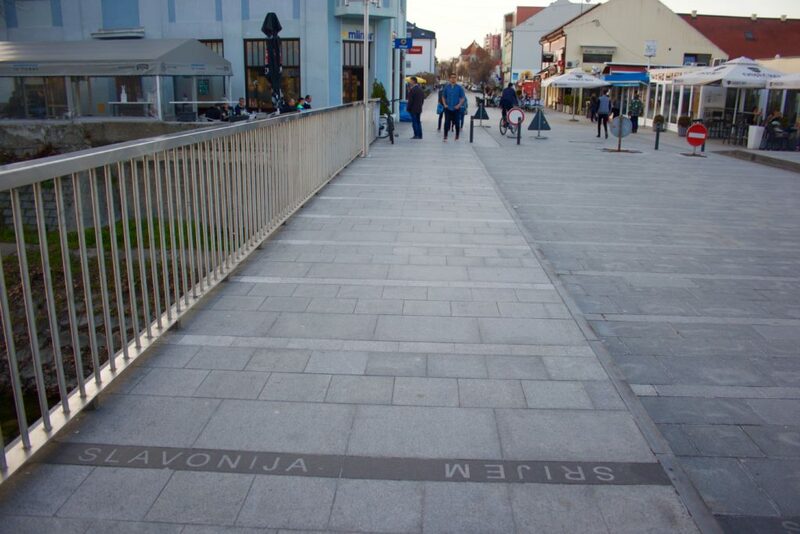 Vukovar centre isn’t large, so getting around can easily be done by foot. The only parts you may need a car or form of transportation for are the Memorial Cemetery, Ovcara Farm Memorial, Vucedol and the Water Tower. Side note- The iconic Vukovar Water Tower is currently under restoration with scaffolding the whole way through. I didn’t take any photos of it but there are plenty online before the scaffolding. A bridge divides Vukovar’s two county’s – On one side you’re in Slavonia and the other Srijem. Slavonia is distinguishable by it’s flat land, while in Srijem you’ll notice home on hills. During warmer months in the year, Vukovar Beach is open. 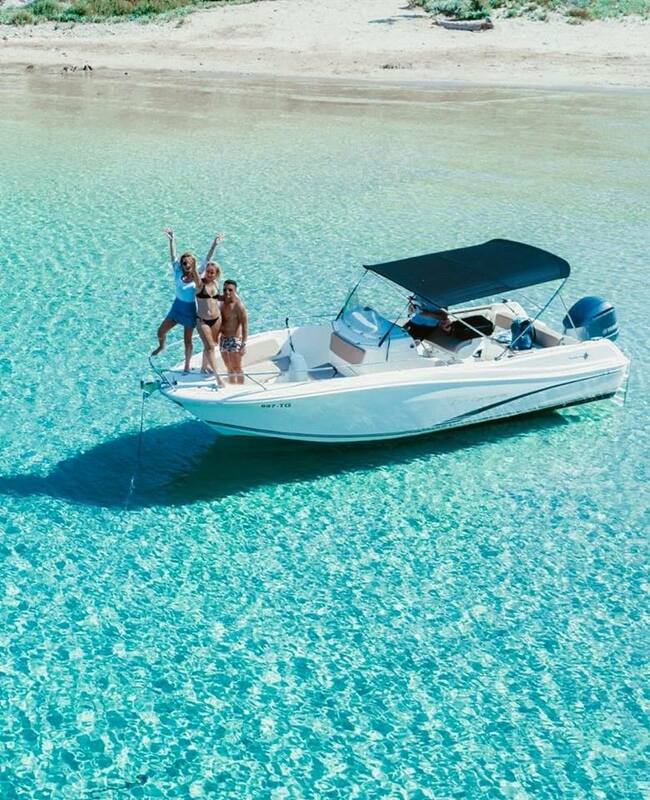 Although nothing like the Dalmatian coastline, it’s still a popular spot for locals to cool off during the summer heatwaves. Experience Vukovar via the Vukovar Waterbus, a guided tour down the Danube River. Each year, the number of river-cruises that dock at Vukovar increase with tourists arriving and experiencing the city from cruises that begin in Budapest, Bratislava and Vienna. Vukovar Film Festival is also a very popular annual attraction that occurs every late August. Vukovar, a resilient city that I thoroughly enjoyed visiting and am even more proud to call the city where I was born. If you’re looking for a somewhat different travel experience, off Croatia’s typical tourist tracks filled with reflection, I highly recommend a day or two in Vukovar. The city will forever find a place in your heart. Phenomenal write up, extremely informative on Vukovar. It always seems like such a long way away form Split but I think on my next visit I will make the trip up to Slavonia. Beautiful city, so sad that 1991. happened to Croats.